Under the plan of the Lutheran King, Gustavus Adolphus, the Swedes of New Sweden paved the way for the Quaker, William Penn, who would receive credit for most of the work they had accomplished under the plan of Gustavus Adolphus, prior to Penn’s arrival. Although gratifying in some respect, last year’s post may have been disturbing, if not offensive, to today’s American Confessional Lutheran, whose germano-centric Lutheran universe may have him so deluded as to think that all positive Lutheran accomplishments must be only of direct German origin. 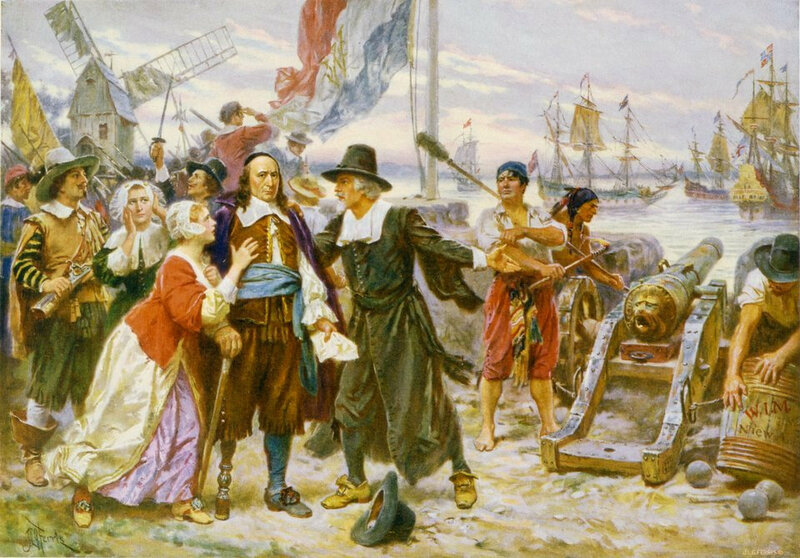 Today’s post will heap coals upon those suffering such bigoted delusions; for the first Lutheran colonists in America were not German, nor were they Scandinavian: they were Dutch Lutherans. Yes. Lutherans in the Netherlands having been the first Protestants to obtain the crown of martyrdom, Lutherans from the same country were the first Protestants in America to have the honor of suffering solely for their religious opinions. In fact, Germany did not even have the sea-faring capability to mount colonizing expeditions to the New World, even in the 17th Century. In a 19th Century history of The Lutherans in America, published in 1889, and endorsed by Henry Eyster Jacobs of the General Council, we read the sad story of Dutch Lutherans who traveled to America, and, although in Calvinist Holland nevertheless permitted the free exercise of Conscience, were forbidden such exercise in the Dutch colonies run by the Holland West India Company in New Amsterdam (New York) and Beverswycke (Albany). Not for a few years, but for a full generation, the Dutch Lutherans were forbidden, by name, the public exercise of religious Conscience, and were thus also forbidden a pastor by the governing authorities. More than reading their sad story, however, we also learn a lesson from these Dutch Lutheran laymen. They publicly resisted. For a full generation. Forbidden public exercise of their religion, required to worship in the manner of the Calvinists, they refused to join them in worship, and instead held services in their homes. That’s right. These Lutherans, absent an orthodox pastor, did “home church” instead – a big no-no in today’s confessional Lutheran circles. At one point, all colonists were required to have their children baptized in the Reformed Churches, and to swear an oath to raise their children in the Reformed Confession. These Dutch Lutherans refused, and, it seems, baptized their children in their own homes as part of their regular worship. More than mere resistance, however, we must emphasize that such resistance was not carried out in secret, but was known to the authorities, as these Lutherans continued to publicly defend evangelical Christianity and their Right of Free Conscience, openly writing petitions to be granted a pastor of their own Confession. Their continued practice of “home church,” flouted before the authorities, resulted in "anti-Conventicle" laws being passed in the Dutch colonies – laws which were openly disobeyed by the Dutch Lutherans. Theirs was not the practice of Lutheran Quietism, which is so popular today. Eventually – after the Dutch colony on Manhattan Island had been without a Lutheran pastor for almost 35 years – the Classis of Amsterdam was persuaded to send the Lutherans a pastor of their own Confession. Upon his arrival, he was ordered by the colonial government to be returned on the same ship on which he had arrived, and forbidden to carry out the duties of his Office. Ten years later, another pastor would be sent – an angry drunk who was forcibly removed by the Dutch Lutherans themselves, after what must have been three long years. He was replaced by a third man, who, by all accounts, was a faithful servant of the Word. After almost fifty years since the founding of the Dutch colony in New Amsterdam and Beverswycke, the Lutherans there finally had a pastor, and finally enjoyed Freedom of Conscience. In the end, God brought this about through the use of tumultuous political events. When governments and societies wage war against Christian conscience, the Lutheran Way has always been to openly resist, meeting our opponents on the battlefield of wits, wielding the Sword of Truth, publicly confessing with the mouth and the pen. Are American Christians prepared for a generation – or more – of open steadfast resistance in the face of continuous persecution? Do we have the fortitude, and the stamina, to undergo and endure it? Can we laymen survive without orthodox pastors, while waging battle after battle with the authorities, like these Dutch Lutherans did? Chapter Four of Rev. Edmund Jacob Wolf’s The Lutherans in America, 1889. And just as all Europe is quaking from the commotion which the revived faith of the Gospel had produced, Hernán Cortés is marching his little band of heroic Spaniards into the gates of Mexico, overthrowing the most powerful tribes of the Aborigines, and opening the way for the conquest of the New World by the Missionaries of the Cross. But heaven could not consent that the debased type of Christianity, which was represented by the bigoted and cruel Spaniards, and which was about to be overwhelmed in Europe by the outburst of a new life in the Church, should appropriate this virgin soil. This must be reserved for the spread and the sway of a purer faith. The inestimable treasures of truth, which had just been recovered from the debris of ages, were destined to find here a theater for their fullest expansion and for the unfolding of their noblest products. What a miscarriage of history it would have been, had a system, staggering under the fatal blows of the manifest hand of Providence, seized at the very crisis a new continent for its baleful triumphs. God never meant America to become Roman Catholic. This land was to be the home of the free. That power which has always been the enemy of freedom was not to acquire here an opportunity for strangling the genius of liberty when it took refuge in this western world. The Gospel, in the glorious revelation it makes of the dignity of the human soul and the equality and brotherhood of all men, is the mighty liberator, and here it was foreordained to have a sphere, untrammeled by chains or bars, for creating a nation of freemen. It is from these shores that liberty is destined to enlighten the world. Roman Catholic governments, with their maritime ascendancy at the time, might serve as agents in the discovery and exploration of this vast continent, they might open the way across the sea for the grand march of colonization and immigration, but the establishment of institutions must be left to the hands of men who had learned in the school of Luther, who had imbibed the doctrines of the Reformation, and who knew to lay the foundations of a republic in which the Freedom of Conscience and the rights of the individual should be forever secure. An insolent and infamous Pope, Alexander VI, by a solemn decree gave, indeed, the whole New World to Spain, but one greater than the Pope gave it to a people who along with Luther had renounced all papal authority. Alexander’s infallibility must, about this time, have been nodding. It is certainly noteworthy that while for a period of more than a hundred years after the discovery of this continent, the Roman Catholics of Spain and France and Portugal were planting their settlements and missionary stations over a vast area, extending from Florida to California, they were not permitted by Providence to lay the foundation on which the permanent institutions of a mighty Empire were to be erected. Their ideas and principles so far from leaving a permanent impress upon this country, contributed so little to the formation of its government that even the existence of these settlements is unknown except to the student of history. Speaking of the Spaniards, Bryant, in his history remarks: “Fortunately for the progress of the human race and the future history of North America, all their efforts to gain a permanent foothold north of the Gulf of Mexico were in the main unsuccessful” (A popular history of the United States ). And another eminent American historian, Dr. Dorchester, observes: “While thirst for gold, lust of power and love of daring adventure served the providential purpose of opening the New World to papal Europe, and Roman Catholic colonies were successfully planted in some portions, the territory originally comprised within the United States was mysteriously guarded and reserved for another – a prepared people” (Christianity in the United States from the First Settlement Down to the Present Time ) – a people brought forth in the pangs of the Reformation, possessed of new ideas and loftier aims and intended by Providence to found in the New World a great Christian Republic, one of the mightiest agencies in human progress (Click here for a partial bibliography of works by Dr. Dorchester). While the first Protestant colonists owed their religious faith and their convictions of civil polity to the Lutheran Reformation, the true adherents of the Lutheran Church could not, in the nature of things, take the leading part in the early settlement of this country. England and the Netherlands, and in some measure Sweden, were in the seventeenth century the only maritime nations among the Protestants of Europe, the only powers, accordingly, that were prepared to establish colonies beyond the sea. “The Reformation,” says Bancroft, “followed by collisions between English Dissenters and the Anglican Hierarchy colonized New England. The Reformation emancipating the United Provinces, led to European settlements on the Hudson” (History of the United States of America, Vol II ). But although debarred through lack of commercial equipments from having the ascendancy in the original colonization of America, it was in accordance with the fitness of things that Lutherans should form an element in some of the earliest Protestant settlements. Providence has in many instances employed them as the leaven where others held the more conspicuous place of the loaf. Their scriptural faith, their intelligence, their industry, thrift and sturdy moral principles constitute, it is well known, invaluable factors in a liberal and prosperous state, and it may be attributed to Providence that the earliest settlement of Lutherans in this land is almost coincident with its permanent settlement. The first representatives of the Lutheran Church in this country came notably, not from Germany, the home of Lutheranism, but from Holland, the land which during the Reformation furnished the first martyrs for the evangelical faith, an event which called forth Luther’s well-known hymn “Ein neues Lied wir heben an,” said to have been his earliest hymnological composition. Although the Reformation in Holland assumed at an early period an extreme Calvinistic type, prosperous congregations of Lutherans maintained themselves in different parts of the country, the strongest of them being the Church at Amsterdam which afterward became “the foster mother of the Dutch Lutheran congregations in New York and New Jersey.” There is no evidence of their suffering persecution from the State Church prior to the rise of the Arminian party. From that time on, although they had no sympathy with Arminian doctrines, yet as they had along with their brethren in other lands always stoutly repudiated the extreme tenets of Calvinism, they became involved in the bitter and relentless persecution of the Arminians which followed the Synod of Dort in 1618. Intolerance did not stop to make any distinctions among the opponents of rigorous Calvinism, and Lutherans fell a prey to the same religious fury which beheaded a Barneveldt and imprisoned a Grotius. To what extent their sufferings for conscience’ sake had a part in leading them to embark with others of their countrymen for the New World is not known, neither have we any evidence of opposition being offered to their coming. It seems quite probable that the religious oppressions as well as the political commotions which held sway in their native land, prompted them to go beyond the seas in quest of peace and worldly prosperity, if not primarily for the sake of religious freedom. Some of them appear, at all events, to have come with the first Dutch colony which in 1623 occupied Manhattan Island, the territory now comprised in the city of New York. The prospect of commercial advantages had led the Holland West India Company to found this colony, and but little concern was consequently manifested for the religious interests of the settlers. At least five years elapsed before the first minister of the Reformed Church, Jonas Michaelius, came over and assumed pastoral care at New Amsterdam. How early the Lutheran settlers took steps to organize a congregation or to celebrate worship according to the order of their Church, cannot be clearly determined, but when they moved to have the service of their own precious faith they at once encountered strong and persistent opposition from the Reformed, who represented the State Church of the fatherland. 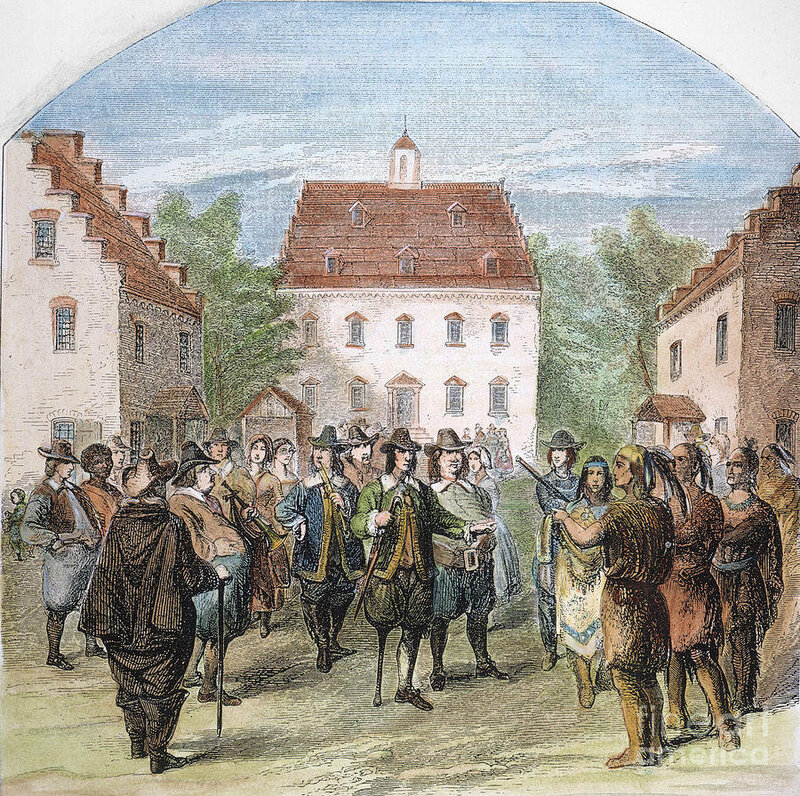 And the first picture of Lutherans in America is that of a noble band suffering persecution: Lutherans in the Netherlands having been the first Protestants to obtain the crown of martyrdom, Lutherans from the same country were now destined to be the first Protestants in America to have the honor of suffering solely for their religious opinions. For although the English Calvinists in Massachusetts were engaged in whipping and hanging Quakers and banishing Baptists at the same time that the Dutch Calvinists were fining and imprisoning Lutherans on the Hudson, it is pretty clearly established now that Roger Williams, Ann Hutchinson, and the Quakers generally, who were so obnoxious to the Puritans, were not made to suffer for their religious views so much as for their disturbance of civil order, their menace to the peace and stability of the colony, their dangerous political tenets and their wanton defiance of the constituted civil authority. The Lutherans, on the other hand, never in all history employed their religious teachings for the subversion of government. They never figured as political agitators, and the little band on Manhattan Island sought only the enjoyment of their spiritual rights under their own vine and fig-tree. It is the doctrine of the Reformation, not that there should be no checks upon the abuse of private judgment, but that those checks should be moral alone. The Romanists and un-Lutheran elements in the Reformation were agreed, that the truth must be maintained and heresy extirpated by the sword of government. Error is in affinity with the spirit of persecution. The first blood shed within the Christian Church, for opinion’s sake, was shed by the deniers of the divinity of Jesus Christ, the Arians. So strong was the feeling in the primitive Church against violence toward errorists, that not a solitary instance occurs of capital punishment for heresy in its earlier era. The Bishops of Gaul, who ordered the execution of the Priscillianists – though the lives of these errorists were as immoral as their teachings were abominable, were excluded from the communion of the Church. As the Western Church grew corrupt, it grew more and more a persecuting Church, till it became drunken with the blood of the saints. The maxims and spirit of persecution went over to every part of the Churches of the Reformation, except the Lutheran Church. Ulrich Zwingli countenanced the penalty of death for heresy. What was the precise share of Calvin in the burning of Servetus is greatly mooted; but two facts are indisputable. One is, that, before the unhappy errorist took his fatal journey, John Calvin wrote, that, if Michael Servetus came to Geneva, he should not leave it alive, if his authority availed anything; the other is, that, after the burning of Servetus, Calvin wrote his dissertation defending the right of the magistrate to put heretics to death (1554). The Romish and Calvinistic writers stand as one man for the right and duty of magistrates to punish heresy with death, over against Luther and the entire body of our theologians, who maintain, without an exception, that heresy is never to be punished with death. By these just views, centuries in advance of the prevalent views, the Lutheran Church has stood, and will stand forever. But she is none the less earnest in just modes of shielding herself and her children from the teachings of error, which takes cover under the pretense of private judgment. She would not burn Servetus, nor, for opinion’s sake, touch a hair of his head; neither, however, would she permit him to bear her name, to “preach another Jesus” in her pulpits, to teach error in her Universities, or to approach with her children the table of their Lord, whom he denied. Her name, her confessions, her history, her very being, protest against the supposition of such “fellowship with the works of darkness,” such sympathy with heresy, such levity in regard to the faith. She never practiced thus. She never can do it. Those who imagine that the right of private judgment is the right of men, within the Lutheran Church, and bearing her hallowed name, to teach what they please in the face of her testimony, know not the nature of the right they claim, nor of the Church, whose very life involves her refusal to have fellowship with them in their error. It is not the right of private judgment which makes or marks a man Lutheran. A man may have the right to judge, and be a simpleton, as he may have the right to get rich, yet may remain a beggar. It is the judgment he reaches in exercising that right which determines what he is. By his abuse of the “inalienable rights of life, liberty, and the pursuit of happiness,” a man may make himself a miserable slave. The Right of Property Ownership belongs as much to the man who makes himself a beggar as to the man who has become a millionaire. Rights, in themselves, give nothing, and cannot change the nature of things. The right to to gather, gathers nothing; and if, under this right, the man gathers wood, hay, or stubble, neither the right nor its exercise makes them into gold, silver, and precious stones. The Church will not put any violence upon him who chooses to gather what will not endure the fire; but she will not accept them as jewels, nor permit her children to be cheated with them. The right of private judgment and the right of Church discipline are co-ordinate and harmonious rights, essential to the prevention, each of the abuse of the other. To uphold either intelligently, is to to uphold both. In maintaining, therefore, as Protestants, the right and duty of men, in the exercise of private judgment, to form their own convictions, unfettered by civil penalties in the State, or by inquisitorial powers in the Church, we maintain, also, the right and duty of the Church to shield herself from corruption in doctrine by setting forth the Truth in her Confession, by faithfully controverting heresy, by personal warning to those that err, and, finally, with the contumacious, by rejecting them from her communion, till, through grace, they are led to see and renounce the falsehood, for which they claimed the name of truth. The first distinct mention of the Lutherans at New Amsterdam is from the pen of the Jesuit Missionary, Isaac Jogues, whom the Dutch had rescued from captivity among the Iroquois, and who spent the time from August, 1642, to November, 1643, in the colony. He says: “No religion is publicly exercised but the Calvinist, and orders are to admit none but Calvinists, but this is not observed, for there are beside Calvinists, in the colony, English Puritans, Lutherans, Anabaptists, here called Minists” (Mennonites). The opposition to Lutheran worship appears to have been for awhile not so inexorable as to drive them from the colony or to prevent their assembling in private dwellings where religious services after the Lutheran form were conducted by one of their number. The little band in the wilderness, without bishop or priest, formed with God’s Word a true Church of Christ. They had a bitter grievance in connection with the baptism of their children. This sacrament had to be administered by the Reformed pastor who required of sponsors a profession of faith which to a Lutheran conscience must have been, to say the least, unsatisfactory and compromising. The Lutherans hereupon addressed themselves to the West India Company and to the Home Government. The Reformed Pastors made a counter-appeal to the Classis of Amsterdam, to which had been entrusted the office of supervision of ecclesiastical affairs in America, urging the dangerous consequences of making such concessions to the Lutherans, and entreating them to prevent their being made. It would be a dangerous precedent. The Lutherans have somehow always been considered a “hindrance” by their sister churches. They have always stood in their way. Their presence has been dreaded as a menace to sectarian ascendancy and an obstruction to sacerdotal power. Their popular worship, their evangelical doctrine, their childlike faith and spiritual freedom can never hope for a welcome among those who are still partial to the bonds of legalism and who look to works as well as to faith as a condition to salvation. Standing midway between the sensualizing ceremonials and dogmas of Rome and the pronounced subjectivity of the Reformed system, a position rendered impregnable by history as well as by the Scriptures, the Lutheran Church is no more likely to command favor with the denominations of the Reformed type than with the papal communion. Happily she has vitality enough not to be dependent on this favor. Woe to her if she ever courts it at the expense of her principles. Sustained by the ecclesiastical authorities of the mother country, the Calvinist Governor of New Amsterdam and his intolerant preachers now resolved on crushing out the Lutherans. Failing in the effort “to allure” them into the Dutch churches, and by this means to absorb them, as they had been instructed by the Directors, they resolved that resort must be had to penalties and imprisonments. Persecution must be tried where persuasion failed. Parents were henceforth required on presenting their children for baptism to profess their belief in the doctrines of the Synod of Dort, the most extreme deliverances ever put forth by Calvinism, and they must even promise to train up their children in the same – that is, to teach their offspring tenets which in their hearts they abhorred, knowing them to be contrary to the Gospel. Rome never did greater violence to the conscience, never showed stronger determination to force error into the minds of the unwilling. Resistance to these oppressive and sinful demands was followed by arrest, by fines, and in default of payment the recusants were thrown into prison. They must by force be made to conform to Calvinism. Steadfast in their convictions and with the courage of martyrs the Lutherans persisted in having their assemblies for worship, and as their numbers, in spite of their persecutions, were continually increasing and their spirit growing more resolute and defiant, the wrath of the Reformed Pastors became more bitter and violent. They lodged complaint with the Governor against their “Conventicles,” as meetings for worship not authorized by the government were then called. Such meetings, they claimed, were sure to breed disorder in Church and State, and they succeeded in having him issue a proclamation “for the promotion of the glory of God, the increase of the Reformed Religion,” etc., forbidding the holding of conventicles not in harmony with the established religion, as set forth by the Synod of Dort. A fine of one hundred Flemish pounds was imposed for every violation of this ordinance by the preaching of a sermon, and twenty-five pounds on all persons guilty of meeting in private dwellings for the purpose of worshiping together. The penalty for preaching the Gospel was accordingly one hundred pounds, the penalty for hearing it twenty-five pounds. Lutheran services, even in private houses were thus absolutely suppressed. Mennonites and Quakers shared with Lutherans the honors and the horrors of these persecutions, but the published placard at Albany (then Beverswycke), specifically singled out the Lutheran congregation there as the particular object of this prohibition of worship. Note that this state-sponsored prohibition of “Conventicles” in America occurs decades prior to Philipp Jakob Spener’s publication of Pia Desideria (1675). Following the rise of Pietism that resulted (a hallmark of which was the “Conventicle”), governments in Europe enacted anti-Conventicle laws, in part due to a peculiar form of millennial teaching espoused by some pietists which motivated them to subversive political activity. One can read more about this, and some other aspects of German and Haugean Pietism, and their impact on American Lutheranism, in an early pair of Intrepid Lutheran blog posts from 2010: Lay Ministry: A Continuing Legacy of Pietism and C.F.W. Walther on the Layman’s Role in the Congregation’s Ministry. Notwithstanding the implacable and indefatigable opposition of the clerical bigots in New Amsterdam, and to their infinite chagrin and dismay, the long-suffering Lutherans had in June, 1657, the inexpressible joy of welcoming their promised pastor. It was the Rev. John Ernest Goetwater, who was the first Lutheran minister to visit the banks of the Hudson. He had been sent out by the Lutheran Consistory of Amsterdam to minister to their suffering brethren in the New Netherlands, two congregations having been by this time organized, one at New Amsterdam (New York), and one at Beverswycke (Albany). The reception accorded by the civil and ecclesiastical authorities to this servant of Christ, coming into this vast wilderness on the sole peaceful mission of dispensing the Gospel to humble souls whose cry had gone across the sea, was infamous not to say inhuman, and, even for that day, without the shadow or an excuse or extenuation. And it is strange that while every popular history expatiates on the wrongs endured by the Quakers and Baptists of Massachusetts about this same time, so little reference is made to the more cruel, unrelenting and utterly indefensible persecutions inflicted upon the Lutherans on the Hudson. This anomaly may in a measure be accounted for by the quiet patience with which, according to the spirit of Christianity, they bore their sufferings, seeking redress with the general government rather than resorting to reckless agitation or revolution. An impartial historian, Edmund Bailey O’Callaghan, gives the following account: “Religious excitement now took the place of political... The Dutch clergymen immediately informed the authorities. Dominie Goetwater was cited before them and forbidden to exercise his Calling. Messrs. Megapolensis and Drisius demanded that he should be sent back to Holland in the same ship in which he had arrived. He was ordered to quit the Province accordingly. Sickness, however, prevented his compliance with this harsh and unchristian mandate. He was therefore put ‘on the limits of the city,’ and finally forced to embark for Holland,” which decree went into execution October 16, the Lutherans protesting in vain (History of New Netherland, Vol I & Vol II ). Though not allowed to conduct any public services, the presence of a pastor for several months among the distressed and desolate flock of Lutherans, must have in various ways proved a blessing to them. It is doubtful, as he was not allowed to exercise his Calling, whether he could even baptize their children, as the law required these to be presented by their parents in the Reformed Church, and he was closely watched with the suspicion and fear bred of bigotry, yet he could not be prevented from visiting the people at their homes, holding domestic worship with them and in personal ministrations offering them the counsels and consolations of the Gospel. For even this boon the hearts of Lutheran confessors would feel unutterably grateful. Their bitter persecutors were neither ashamed of their heartless procedure, nor content with the success of the efforts they had instigated to prevent the settlement of a Lutheran Pastor. An exulting report of it must be forwarded to the home authorities. In this they glory in their shame and gloat over the triumph by which it was crowned at the hands of the provincial government. No Lutheran minister should be allowed to preach the faith of the Reformation within the limits of their jurisdiction, nor even by his presence to pollute this soil sacred to Calvinism. This report, dated August 6, 1657, is preserved in Volume III of the “Documentary History of New York,” pages 103—108, and is an interesting specimen of the malignant spirit of persecution. It is addressed to the Classis of Amsterdam, “fathers and brothers in Christ Jesus.” It acknowledges their fatherly care “and the trouble taken by them to prevent the injuries which threaten this community from the encroachments of heretical spirits.” “We being animated and cheered by your letters,” it proceeds to state, “hoped for the best, though dreading the worst, which even now has arrived, to the especial discontent and disapprobation of the congregation of this place, yea of the whole land, even of the English.” “We have already the snake in our bosom.” They certainly had not warmed it. “We demanded also that the noble Lord’s Regent should send the Lutheran minister back in the same ship in which he arrived... in order to put a stop to their work, which they seemed disposed to push forward with a hard Lutheran pate.” To their credit be it recorded these malign zealots had some appreciation of the qualities of a Lutheran head, which may have been one cause of their consternation when a Lutheran minister set foot on Manhattan. The death blow must have fallen upon the Lutheran Church in New Netherlands, one would suppose, when their pastor immediately upon his arrival was forcibly driven from the country. But with an irrepressible faith and that “hard Lutheran pate” they maintained some form of an organization despite the severe disabilities and oppressions under which they labored. In November, 1660, we read that “the Lutherans were promoting a subscription for a clergyman of their own.” A petition addressed to Governor Colden, in 1763, affirms that at the time New Amsterdam passed under English control, in 1664, “the Lutheran congregation was in organized existence and enjoyed the benefits of the terms of the compact made” – a claim which was admitted by the Colonial authorities. They based upon this their right to a charter and perfect toleration, in accordance with the terms of capitulation made by the English with the Dutch governor, whereby all their religious privileges were guaranteed to the inhabitants of the Province. The Directors of the West India Company, realizing that the oppressive measures which had been employed were proving detrimental to the prosperity of the colony, resolved in April, 1663, on pursuing a more liberal and Christian policy. They administered a severe rebuke to Stuyvesant for the violence which had been offered to the consciences and rights of subjects in his colony and put an end once for all to persecution in New Netherland. About a year after the arrival of this decree, a British fleet appeared before New Amsterdam and the rule of the doughty Knickerbocker himself, as well as of persecution, came to a sudden termination. It is the judgment of Dr. William Morton Reynolds (President Capital University [1850-1854] and Carthage College [1858-1862]) that the Lutherans proceeded with the erection of a house of worship in 1663, immediately upon learning of the changed policy of the Directors, but Dr. Beale Melanchthon Schmucker says: “The first proof I have found of any action connected with the erection of the first church is in June, 1671, when certain dissatisfied members were compelled to pay subscriptions made for that purpose.” These subscriptions, it is more than likely had been made some years previous, the protracted delay quite naturally giving rise to dissatisfaction. Whenever it was built, this first church stood, for some reason, “on ground without the gate of the city” and, of a piece with the singular succession of adversities which so long harassed and tried the Lutheran Church in New York city, there came subsequently, during the brief restoration of the power of Holland, 1673-74, an order from Governor Colve that it must be torn down. The pretext offered for this destruction was that this building along with some others outside the wall interfered with the necessary defenses of the place, and this plea would, perhaps, not be disputed, but for the inflexible hostility which the Reformed colonists had for half a century borne to their Lutheran brethren. The property so destroyed was to be valued by impartial persons, lots of equal value within the city were to be conveyed to the owners, and reimbursement allowed for the loss of buildings. Of the exact location of this first church no evidence is to be found. For some reason, unknown to us, a number of Dutch Lutherans saw fit to withdraw from Manhattan Island, shortly after it passed under the government of the British, and they formed a settlement on James Island, southwest of the Ashley River, in South Carolina. They were at that time the only adherents of the Lutheran Church in the Carolinas. Their industry is said to have triumphed over incredible hardships, but of their spiritual progress nothing is known beyond their sturdy protest against the impious and impudent bigotry, which in 1704, established the Church of England in the two Carolinas and provided for its support from the public treasury. The shameless injustice of such legislation, when the Episcopalians had but a single church in the Province, while the “Dissenters” had three in Charleston and one in the country, was resented by the people of other creeds, and they made common cause in endeavoring to obtain its repeal, the Lutherans bravely uniting in transmitting a statement of their grievances to the Lords-proprietors. The Lutherans of New York, having obtained from the newly established English authorities permission to call a preacher of their faith, they forwarded their petition to the Classis of Amsterdam – the Dutch being still the dominant party in the congregation, though Lutherans from other countries had in the meantime united with it – but four long and gloomy years were yet to pass by before their earnest entreaties for a shepherd were granted. And when, at last, in 1668, more than forty years after the first Lutherans had settled in New York, and ten years after the banishment of Rev. Goetwater, they were to see their petitions granted and their hopes realized, they alas! found the fruit of all their efforts, to be like the apples of Sodom, a most grievous disappointment. A more unhappy selection could scarcely have been made for them. The Lutheran Consistory must have been ignorant not only of the peculiar requirements of the situation in this New World, but they must have been totally unacquainted with the character of the man whom they commissioned. It would have been a sad day for the the early Christian Church, if the congregation at Antioch had made a similar mistake when they sent forth Barnabas and Saul on the mission to the Gentiles. The man’s name was Jacob Fabricius. He was a sorry excuse for the spiritual head of a congregation that had languished so long without pastoral oversight, and had suffered so much from adversity and persecution. He proved to be utterly unadapted to the position. He had received university training and was a man of uncommon talents and eloquent as a preacher. But he was of a haughty and violent temper, had neither tact nor prudence, and, saddest of all, was a victim of intemperance. At Albany, where, as well as in New York, Governor Lovelace had given him permission to exercise his Office, he became seriously involved with the civil authorities and also with his congregation. Refusing to sanction civil marriage, which was at that time the law of the Province, he proceeded, whether from conscience or from covetousness, to impose a fine of one thousand six dollars upon one of his members whose marriage had been solemnized by a civil official. The party complaining to the governor, the latter suspended the arbitrary preacher from his functions in Albany for one year, allowing him still to continue his ministrations in New York, though in the course of another year he was there also authorized to preach his farewell sermon. The work of erecting a church building in the latter place, which had been inaugurated prior to his coming, received at first, naturally, quite an impetus from his presence, but he soon became an element of discord in the congregation and his offensive, domineering, behavior threw everything into confusion. The people became so much dissatisfied that they not only refused to contribute to his support but they even declined to pay their subscriptions to the building of the church. The civil authorities had to be invoked and it was ordered by the magistrates, that the subscriptions made for the church building and those for the salary of the pastor should be paid “up to the time of their late public disagreement.” Compliance with this order was of course inevitable, but shortly afterward certain members of the church, doubtless its trustees or office bearers, petitioned the governor to have their accounts settled, adding that they wished to have nothing more to do with the pastor Fabricius. 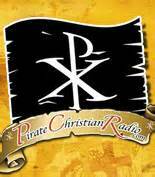 His brief and most unfortunate pastorate came to an abrupt close on August 11, 1671. Surely God must have watched over this straitened and struggling little band holding to the faith of the Augsburg Confession, or the infant would certainly have been strangled in its cradle. Cast down but not in despair the congregation proceeded to petition for a new pastor, and to their heartfelt joy they were in a short period permitted to greet him welcome. His name was Rev. Bernardus Antonius Arensius. He is described as “a gentle personage, and of a very agreeable behavior,” the exact reverse of his predecessor. It is not known by whose authority he was sent across, nor is the date of his arrival settled, but as the same order of Governor Lovelace which granted permission to Fabricius to preach his farewell sermon empowered him also “to install the new-come minister, according to the custom used by those of their religion,” he must presumably have arrived shortly before that date. What the membership of his two congregations numbered is nowhere reported, but from a letter dated September 28, 1715, and written by one of his successors, Rev. Justus Falckner, we learn that at that time four small congregations existed in the province of New York, “and all these four consist in all of about one hundred constant communicants, besides strangers going and coming in the city of New York.” The second church was erected in 1684, on the corner of Broadway and Rector Street, on the lot which had been allotted for this purpose by Governor Colve, in lieu of the one on which the first Church had stood without the wall. How long Pastor Arensius continued to live and minister to these congregations has not, up to this time, been ascertained, but as there is no trace of the presence of any other Lutheran minister in the province prior to the year 1700, it is probable that he continued until about the close of the century. He was succeeded for a short period by the Rev. Andrew Rudman, Provost of the Swedish Churches on the Delaware, but this calls our attention to a settlement of Lutherans in another section, who came from a different country, and whose early history is irradiated with brighter scenes than those through which the devoted band in New York was called to pass. The Swedes of New Sweden paved the way for William Penn, who would receive credit for most of the work they had accomplished prior to his arrival, under this plan of Gustavus Adolphus.